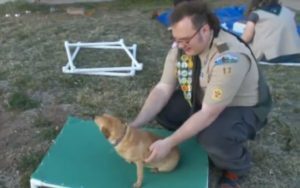 HomeDog NewsTeen’s Eagle Scout Project Provides Beds for 150 Homeless Dogs! To obtain the rank of Eagle Scout, a boy scout must complete a project that benefits his community. This requirement has encouraged thousands of young men to give back in creative ways that have touched hundreds of lives. One young man in Utah chose to use this opportunity to complete a project near and dear to his heart. Chance Call has always had a soft spot for pets. Like many of us, he would love to give every single shelter dog a home, but is unfortunately unable to open his home to the millions of pets in shelters nationwide. His project, though, is going to give the next-best thing: a comfortable bed! Shelters often operate at or over capacity, and on very tight budgets. When prioritizing necessities, comforts like beds and blankets come in way after things like food, medicines, running water and electricity. Some dogs may have nothing but a cold, concrete floor. Chance raised funds for his project, then gathered a group of friends, some PVC pipe and fabric and got to work! With over $3,000 and 120 hours of labor, Chance and his friends put together 150 beds to be distributed to Davis County Animal Care and Control for the pets in their facility! The beds may not be a home – but they’ll provide a lot of comfort to dogs who are still waiting for their families to find them! The beds will be distributed on April 1st, and Davis County Animal Care and Control is excited to recieve them! You may not be able to bring every dog home, but you can make a big difference in a lot of lives. Thank you for your hard work, Chance! You can give a little comfort to a shelter dog too! Check out our buy a blanket/give a blanket program – Give Warmth! The post Teen’s Eagle Scout Project Provides Beds for 150 Homeless Dogs! 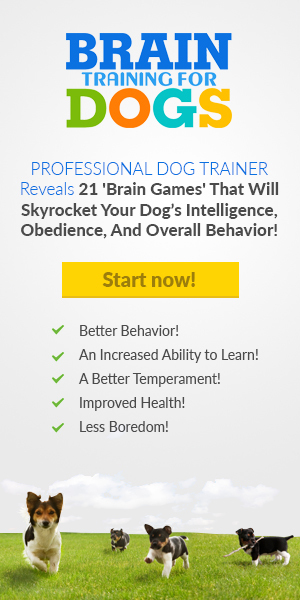 appeared first on iHeartDogs.com.